We are thrilled to announce our next cohort of Cyclotron Road fellows. These 13 scientists and engineers will spend the next two years embedded at Berkeley Lab, advancing their technology innovations from promising concepts to first products. While their areas of expertise range from clean power generation to electronics to material science and manufacturing, all share a common desire to apply their respective technologies toward creating positive societal impacts. Entrepreneurial scientists and engineers face a gap in today’s research ecosystem that prevents them from advancing new concepts to the point of commercial viability. Academic institutions are optimized for scientific discovery but provide neither training nor incentives to mature technology concepts into viable products. Private industry has the motivation and capability to develop products but cannot justify investment in unproven innovations. Faced with this chasm, even the most entrepreneurial scientists struggle to find the resources needed to develop their research toward application, and many potentially transformative discoveries never reach the market to benefit society. Founded in 2014, we've pioneered a new fellowship model to support scientists and engineers as they bring promising concepts toward a first product. Through a partnership with Berkeley Lab, our fellows receive access to sophisticated, rare, or one-of-a-kind laboratory equipment and opportunities to collaborate with leading Berkeley Lab scientists in their respective fields of study. But fellows do far more than just push technological boundaries. They also learn everything about commercializing their products, raising capital, building a business case, and committing to the life of an entrepreneur. Through our extensive network and experienced program team, fellows receive intensive mentoring and coaching in developing the specific skillset needed to lead a technology company. This support positions them to align with the most suitable commercial pathways to deploy their products at scale. 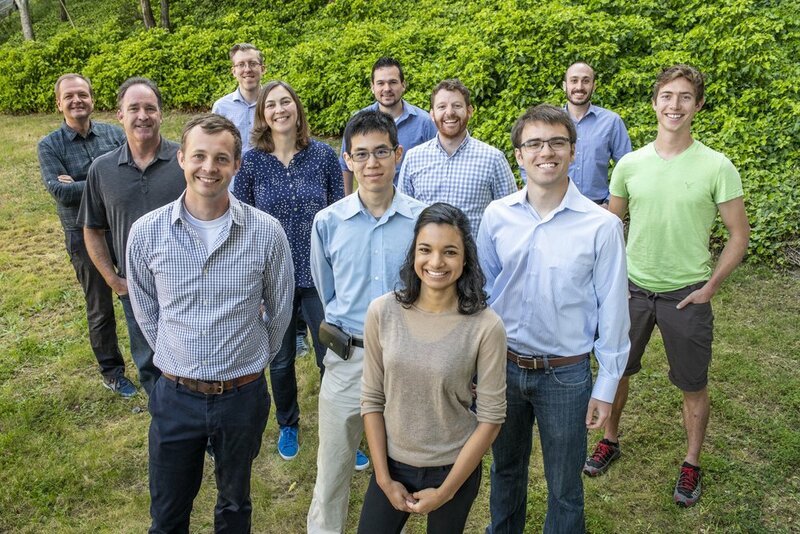 To date, fellows in Cyclotron Road’s first three cohorts have leveraged $10 million in support from the program to raise nearly $50 million in additional research funding and initial private investments, met with thousands of potential industry partners and customers, and brought first products to market. Fellows have garnered national recognition for their work, being featured on Forbes’ 30 Under 30 and MIT Technology Review’s 35 Innovators Under 35 lists, and covered in The New York Times, Rolling Stone, Vanity Fair, Fortune, and more. Cyclotron Road is supported by the U.S. Department of Energy’s Advanced Manufacturing Office as one of three Lab Embedded Entrepreneurship Programs, by the California Energy Commission, and by Defense Advanced Research Projects Agency (DARPA), along with a number of the world’s most influential corporations and philanthropies. Learn more about these remarkable individuals and their technology innovations here.